These are low fat because of the alterations I have made but remember they still have the fat from the chocolate chips and are by no means low in sugar (simple carbs-YUMMY)! Adding the zucchini helps them be a bit more healthy and if you want to make them even more healthy change the flour to your tolerable ratio of wheat flour (I have no tolerance for whole wheat flour in baked goods, sadly). 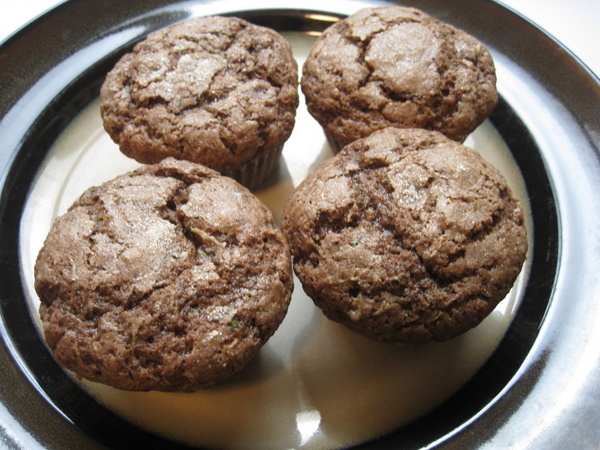 Mix together in a small bowl the flax eggs, sugar, applesauce, vanilla and zucchini until well blended. Mix together in a large bowl the flour, cocoa powder, baking powder, baking soda, cinnamon and nutmeg. Pour the wet ingredients into the dry ingredients, add the chocolate chips and mix together, be careful not to over mix. 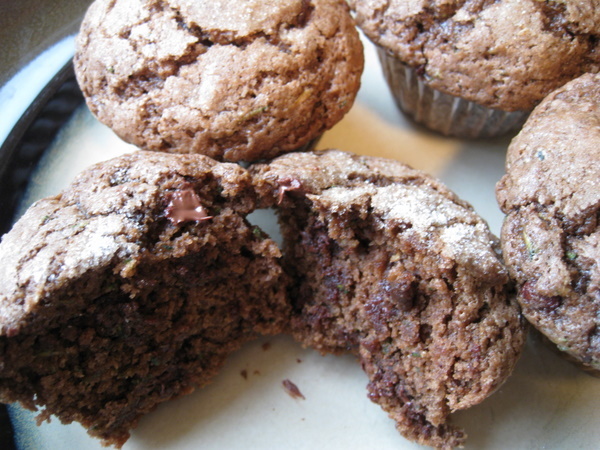 Pour into prepared muffin tins about 2/3 from the top. 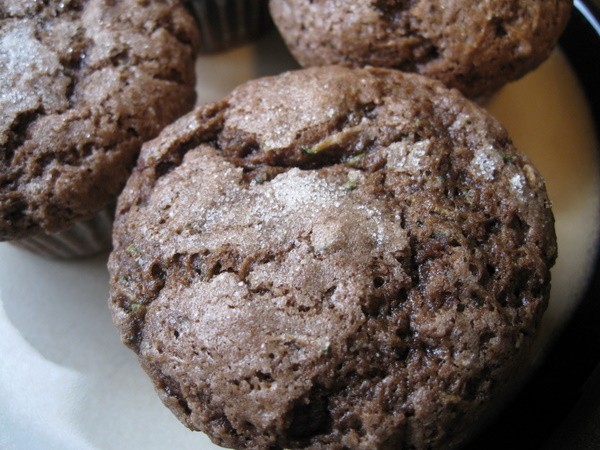 Mix the flour and brown sugar together and sprinkle on top of the wet muffin mixture and bake for 20-25 minutes, until a toothpick comes out clean. Enjoy!